I’ve been thinking about advocacy and the difference I can make a lot lately. I have these grand goals, but no flipping clue how to get from me jotting them down to status: achieved! That’s when I have a moment of Charity starts at home. The plumber just left, and I was thinking what I wanted to eat for lunch and how everything I want needs to be cooked with water. I knew I needed to shower, & use the bathroom before he came, but cooking slipped my mind under the water needed thoughts. He came downstairs to tell me he was done and noticed my insulin pump. (This is where I will thank the jeans with too small pockets.) He asked if I was type 1 or type 2 because he is type 2. He was really intrigued that I was type 1 because he had never met a T1 diabetic before. He paused and said, “can I ask you a question?” He asked what the difference is. “I should know because we have the same disease, but no one ever thinks this information is important.” I agree Mr. Plumber, it IS important. 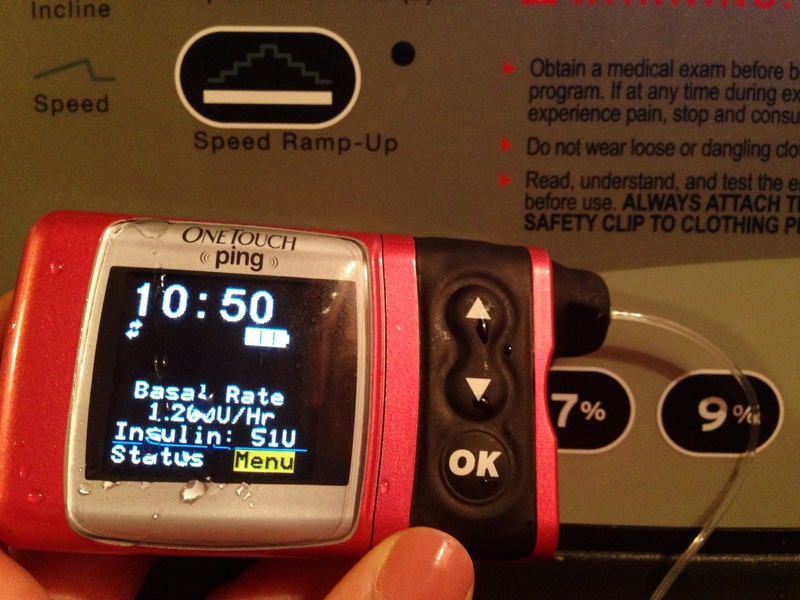 I went on to explain that while type 2 doesn’t use insulin correctly, type 1’s do not produce insulin at all. We talked a little bit more about insulin & other meds & then he went on his merry way. It feels really good to have been able to help one person understand the difference. Good job with the plumber. I hope you found lunch! Nice story. As advocates, this quote from the Tao Te Ching would be a great motto: “Achieve greatness in little things.” We need to start emphasizing the fact that advocacy isn’t a task of a privileged few but, rather, a project which we can ALL contribute to. A part of this is to emphasize simple acts of advocacy that can be done in one’s daily life, regardless of life circumstances. I’m glad to see that those who are self-conscious advocates are beginning to see this. Every moment can be an advocacy moment. I love your moment. Meeting another person with diabetes: Sad. Connecting with another person with diabetes: Amazing and Wonderful. Sounds like your advocacy was a huge success.